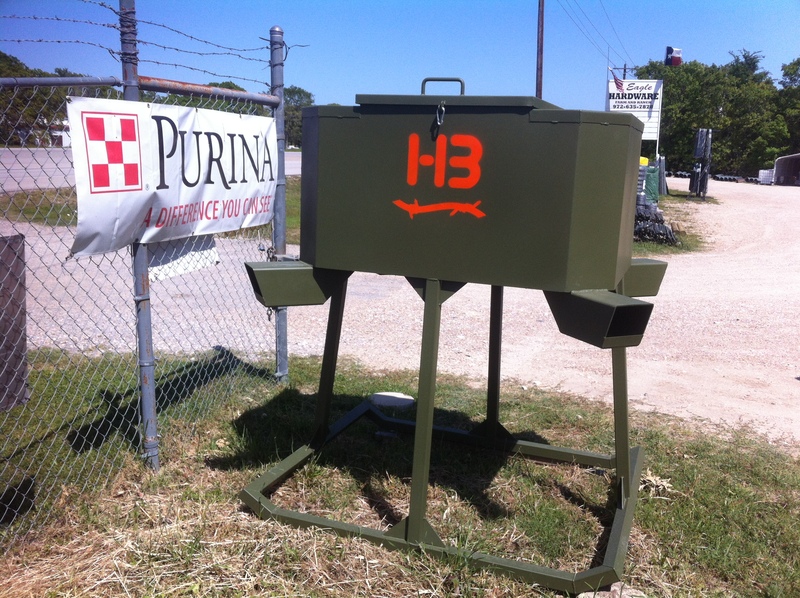 Eagle Hardware Farm and Ranch is a proud distributor of HB Hunting Products. Located in north Texas, HB Hunting Products are made from the highest quality steel that will withstand the outdoor elements for years of hunting. HB Hunting Products include deer feeders, deer blinds, towers and other wildlife feeders. For more information, give us a call at 972-635-7878.